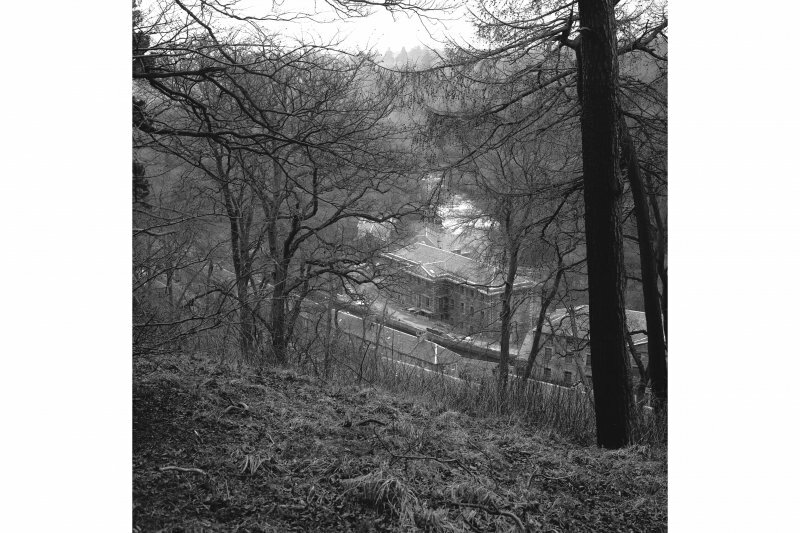 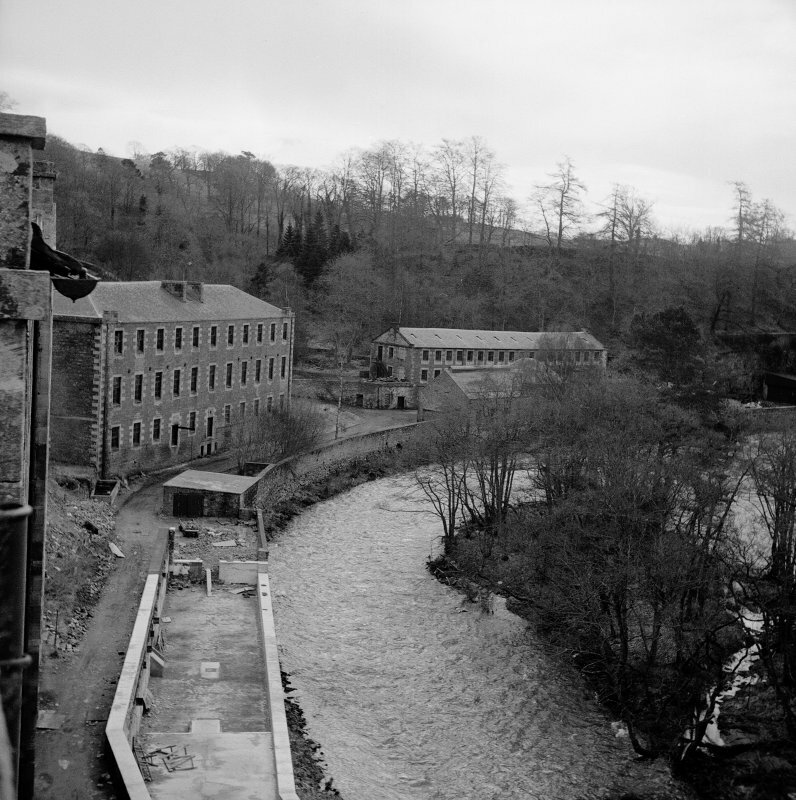 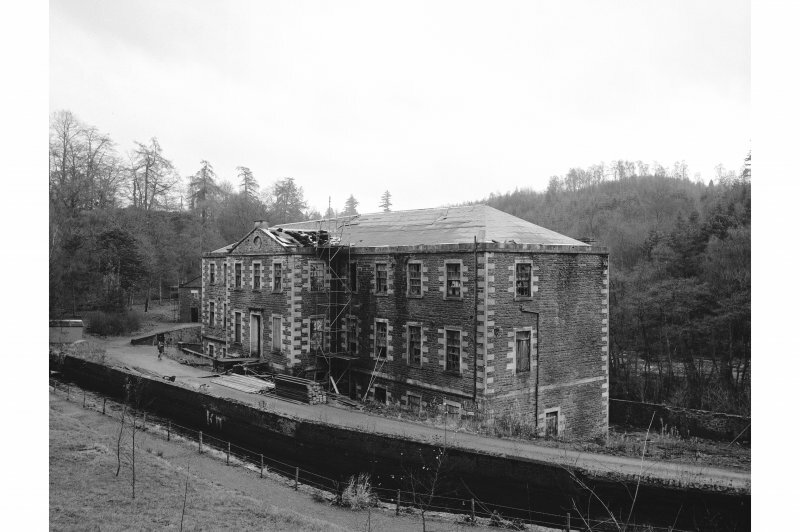 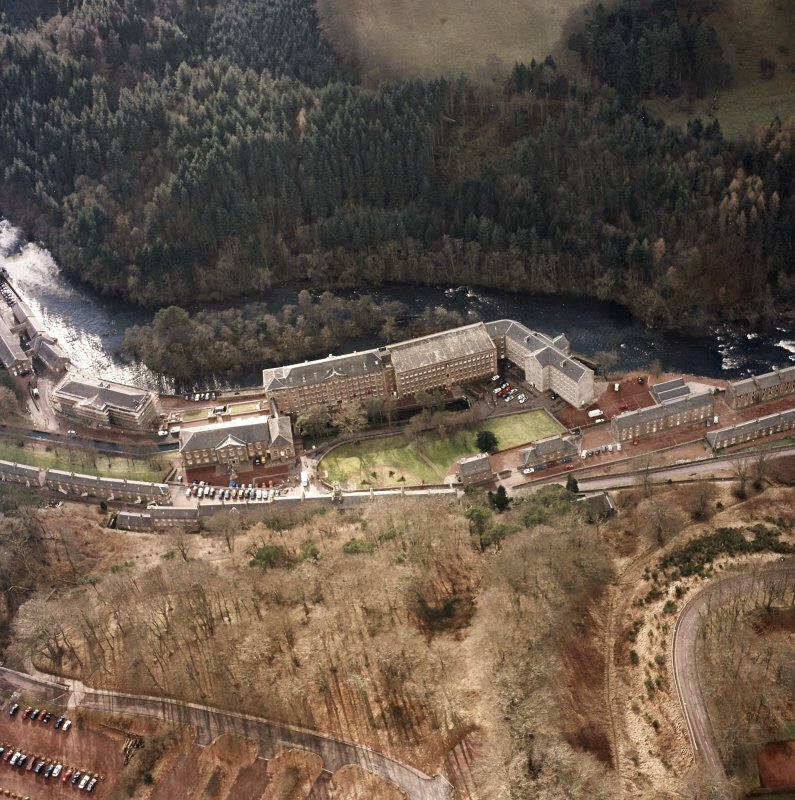 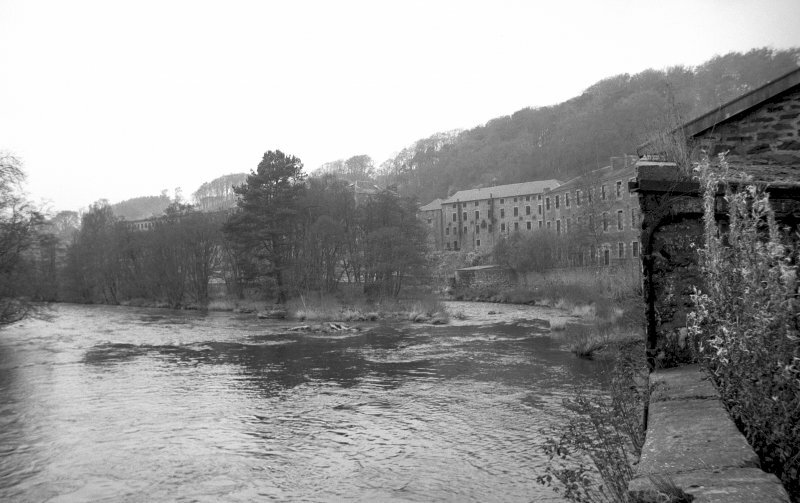 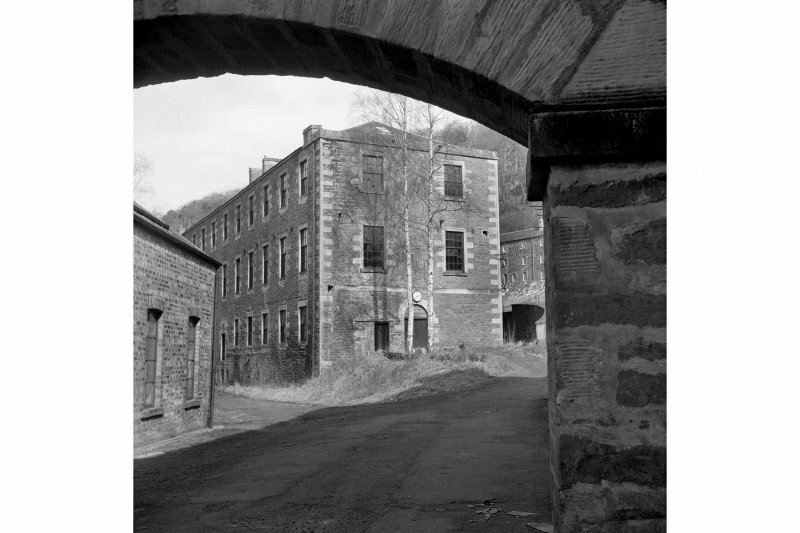 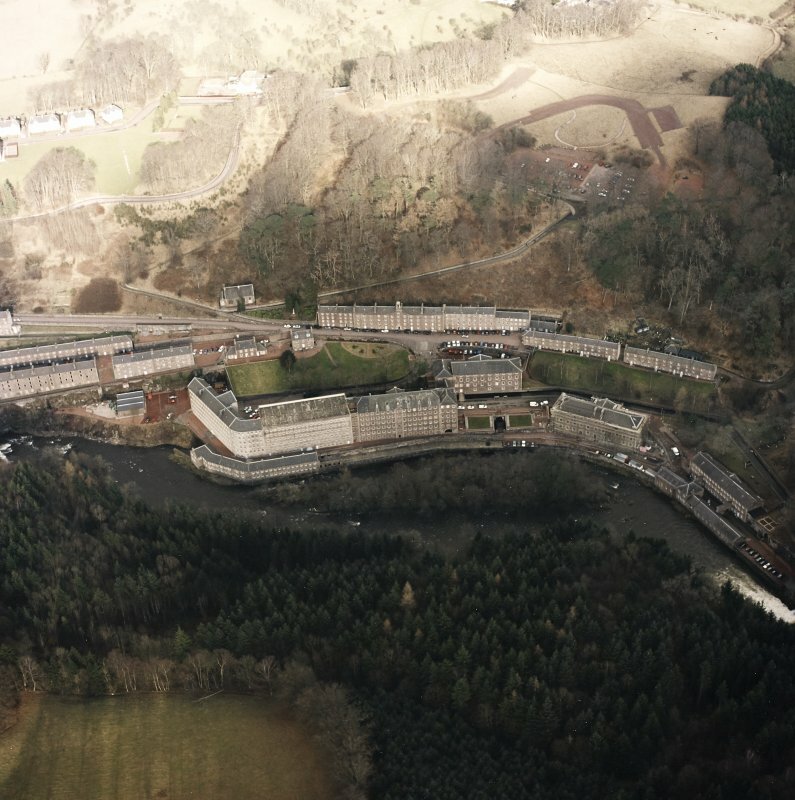 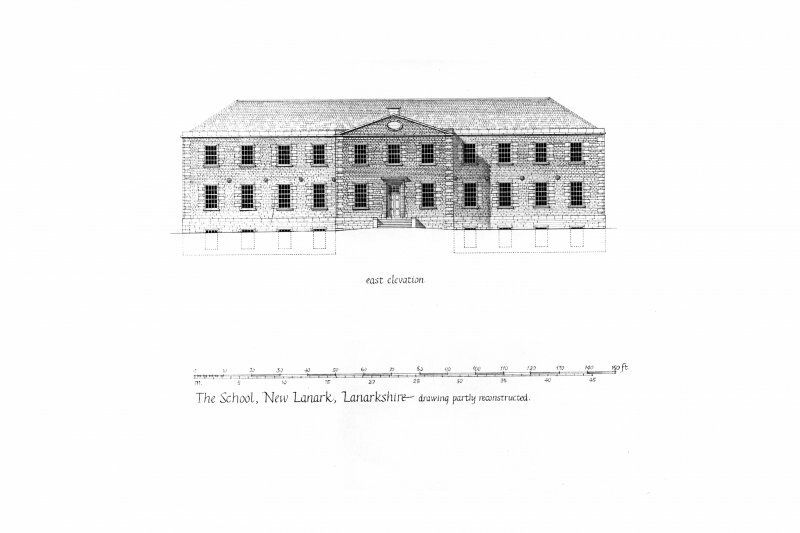 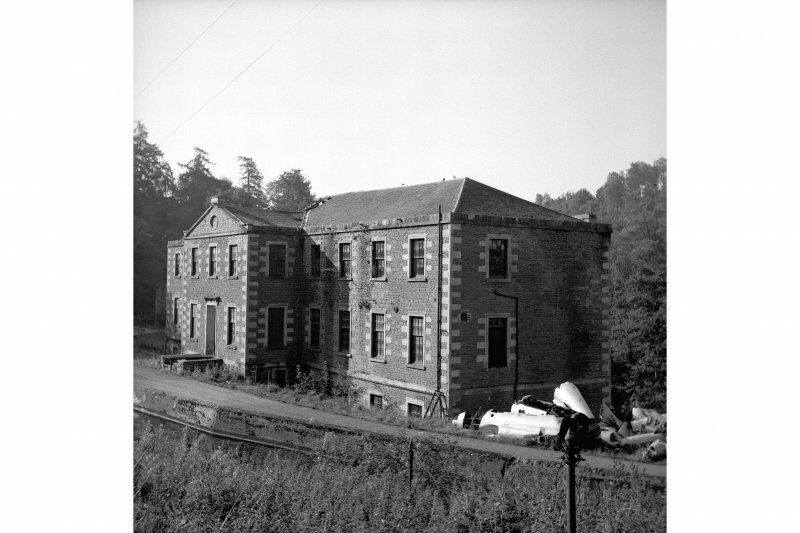 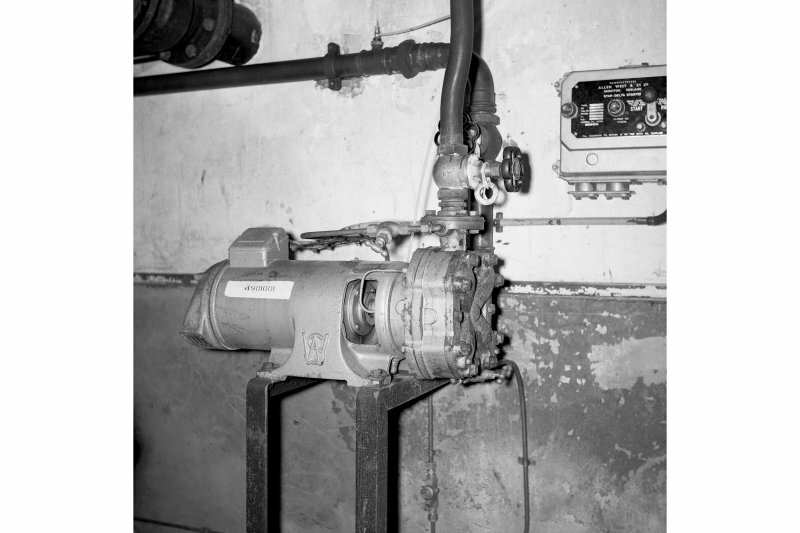 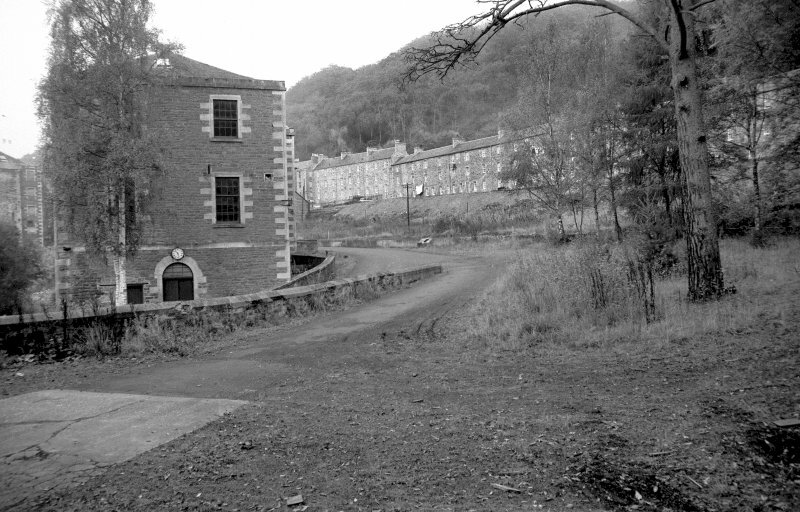 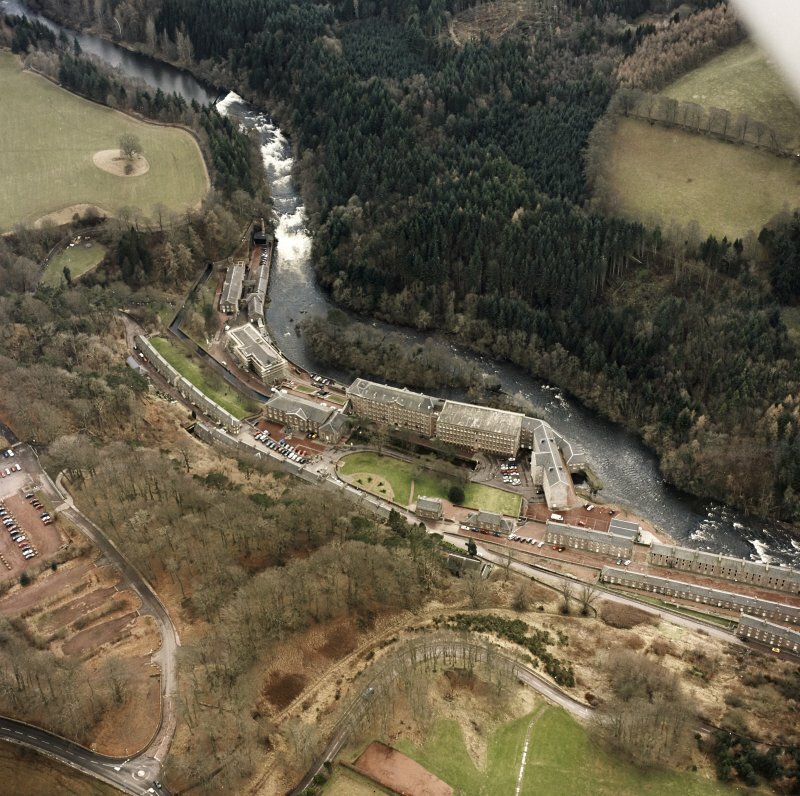 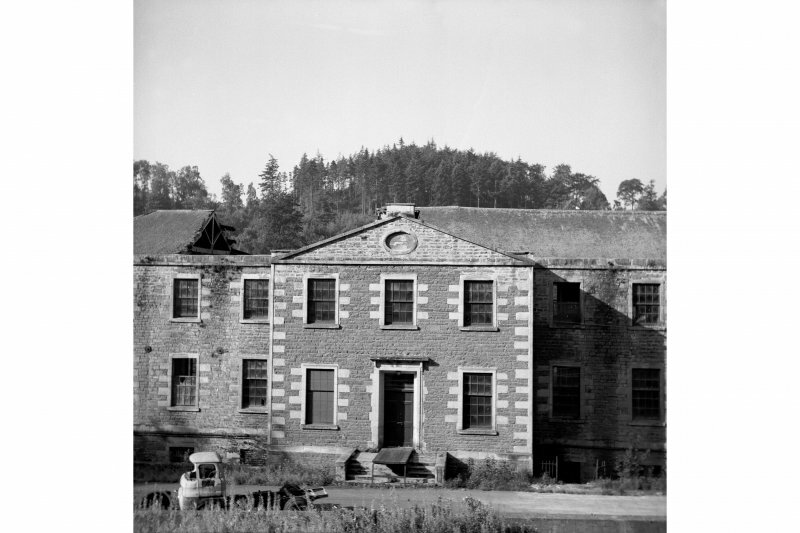 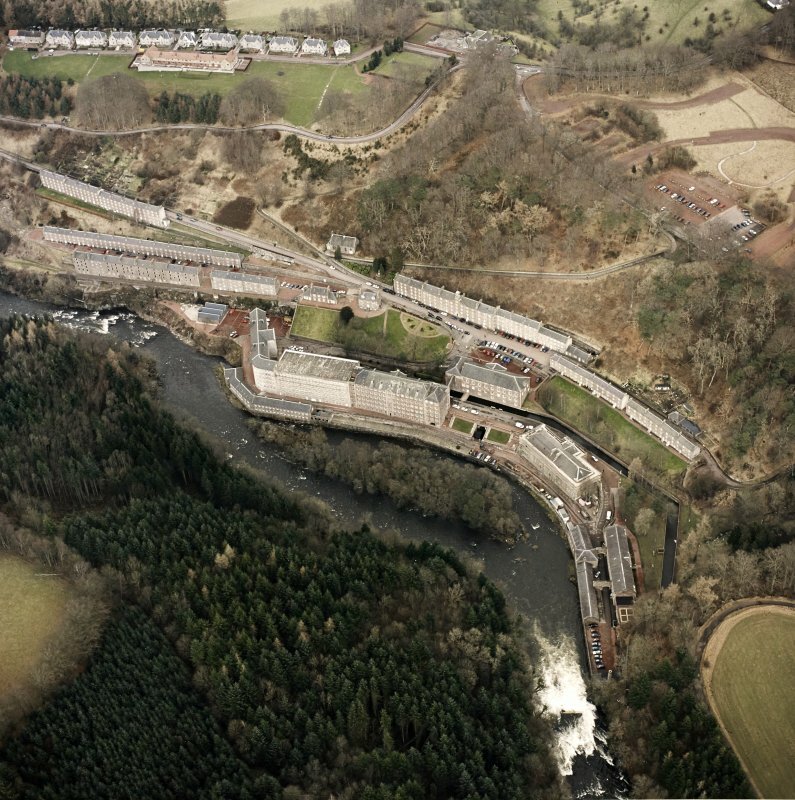 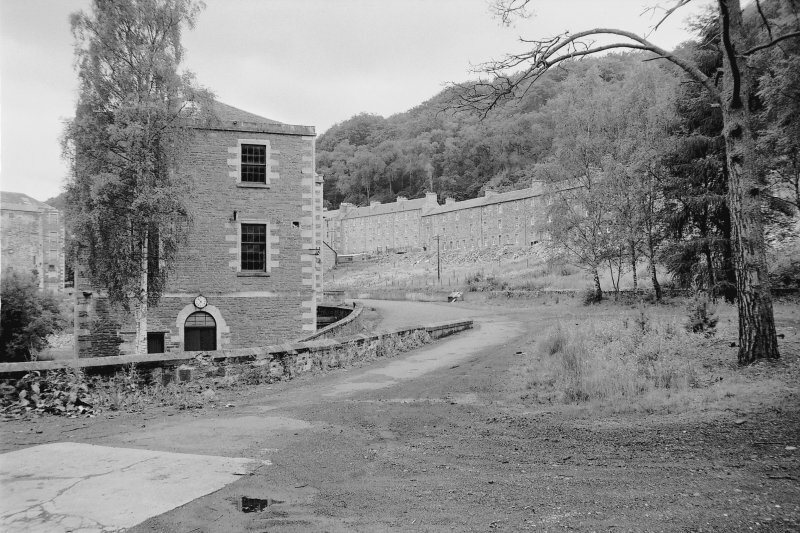 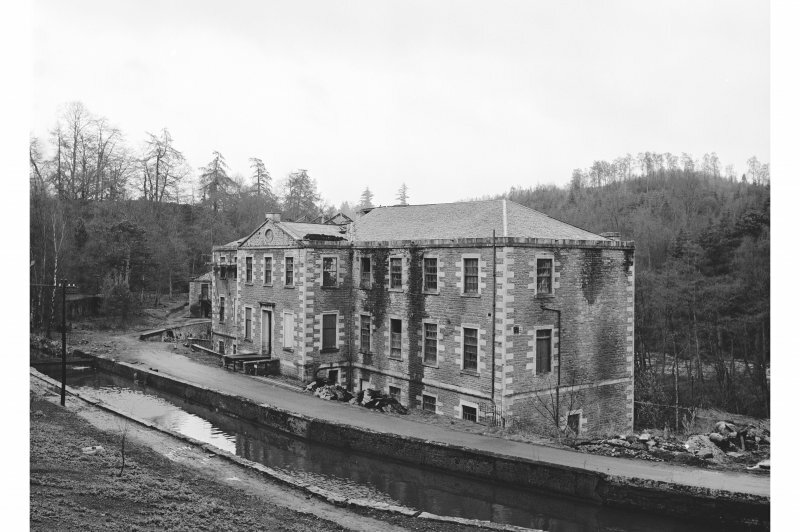 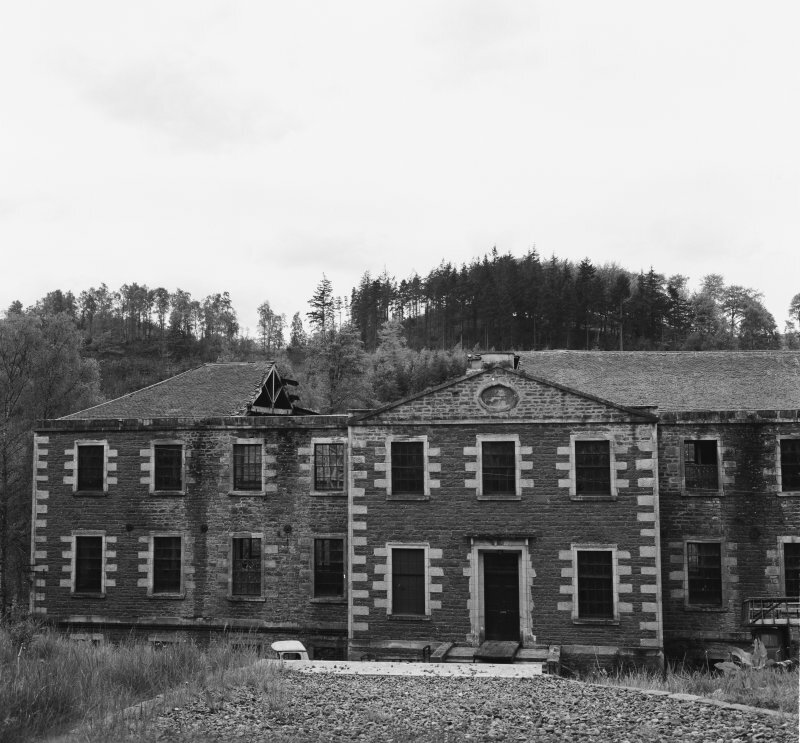 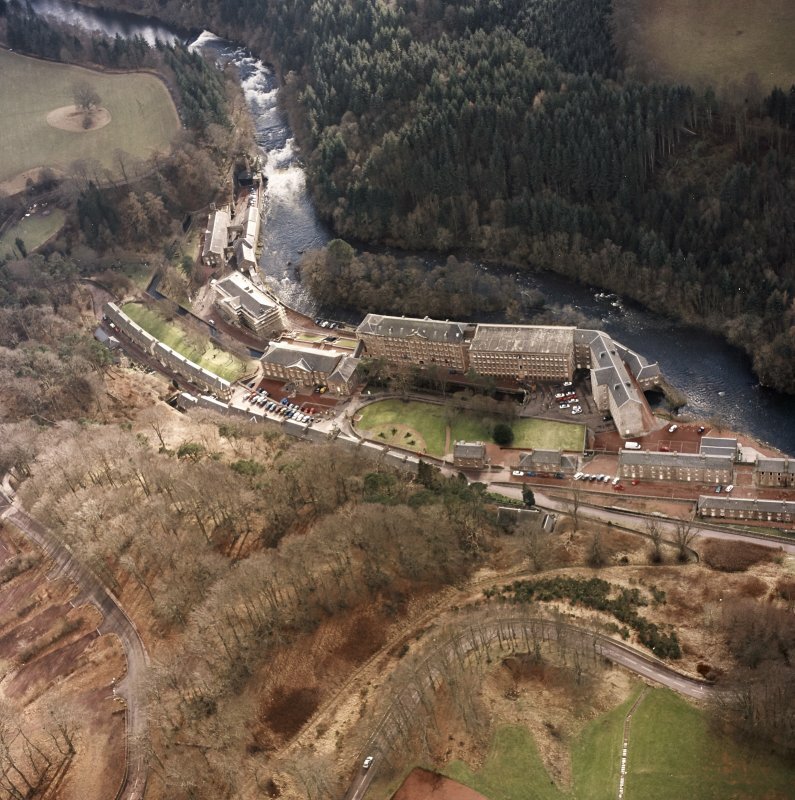 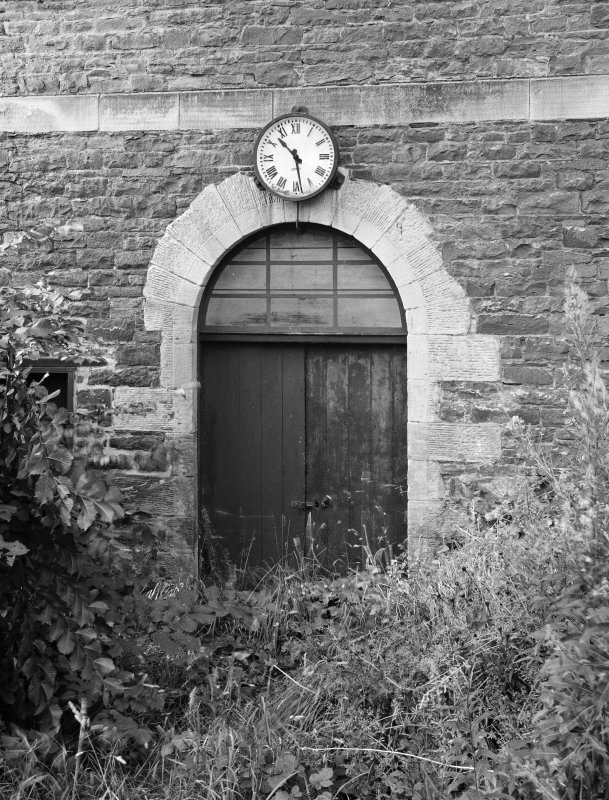 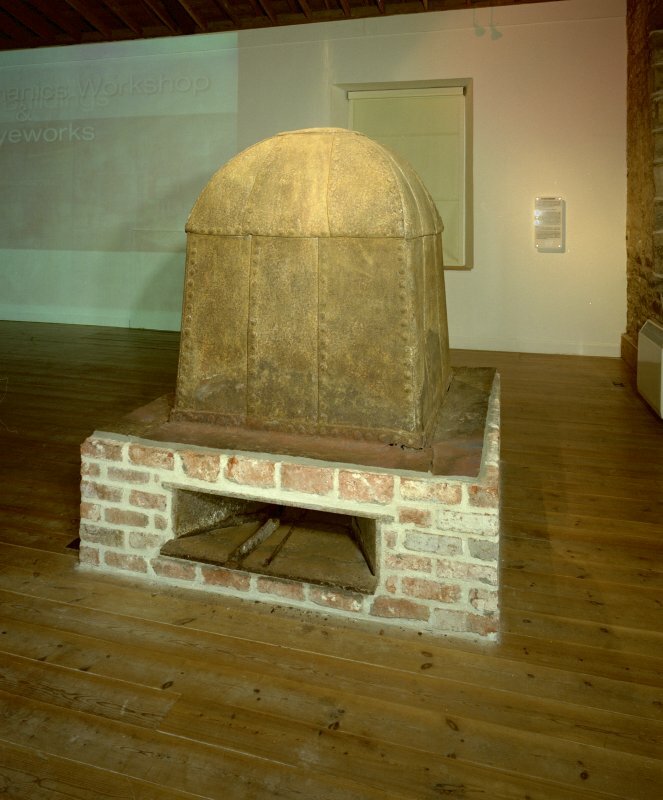 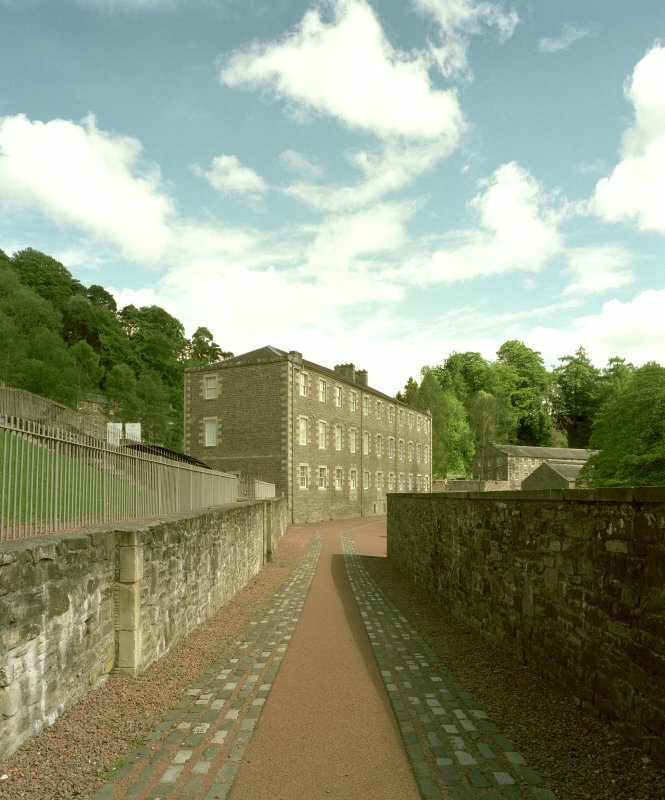 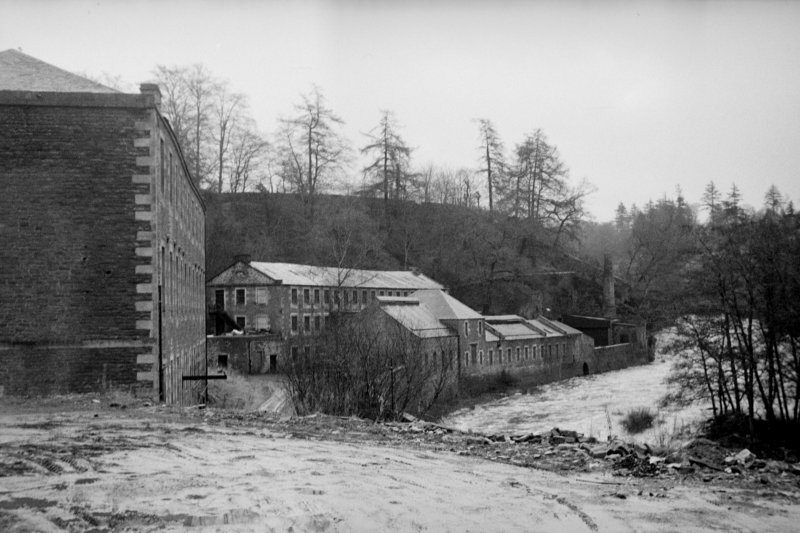 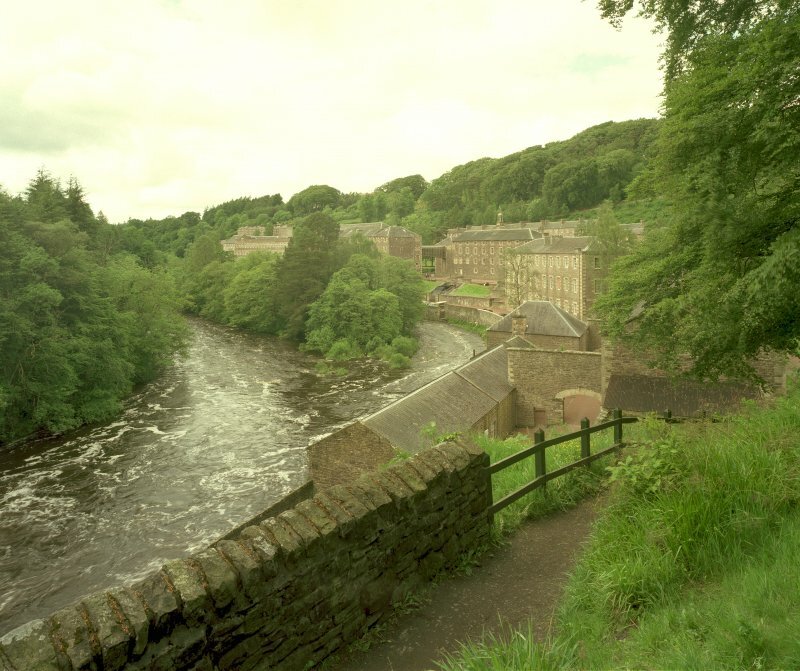 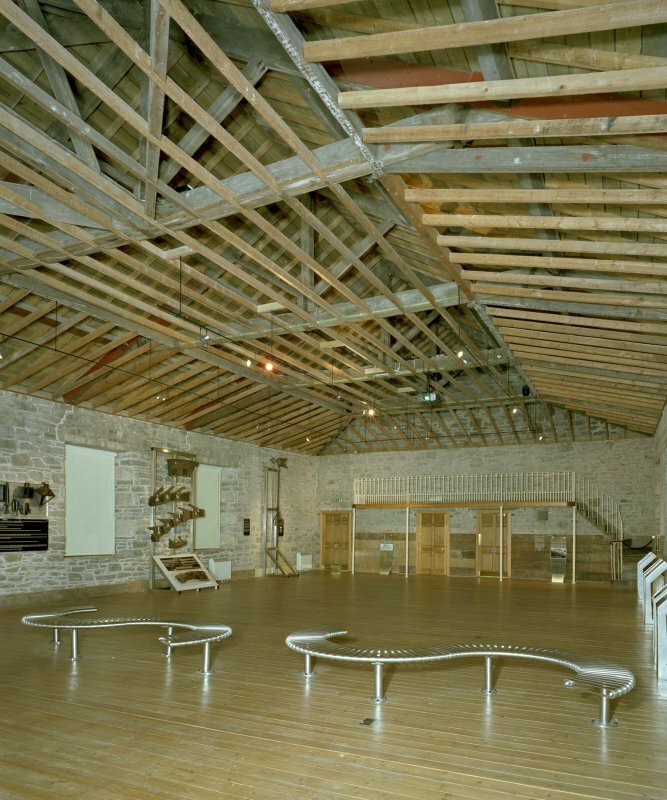 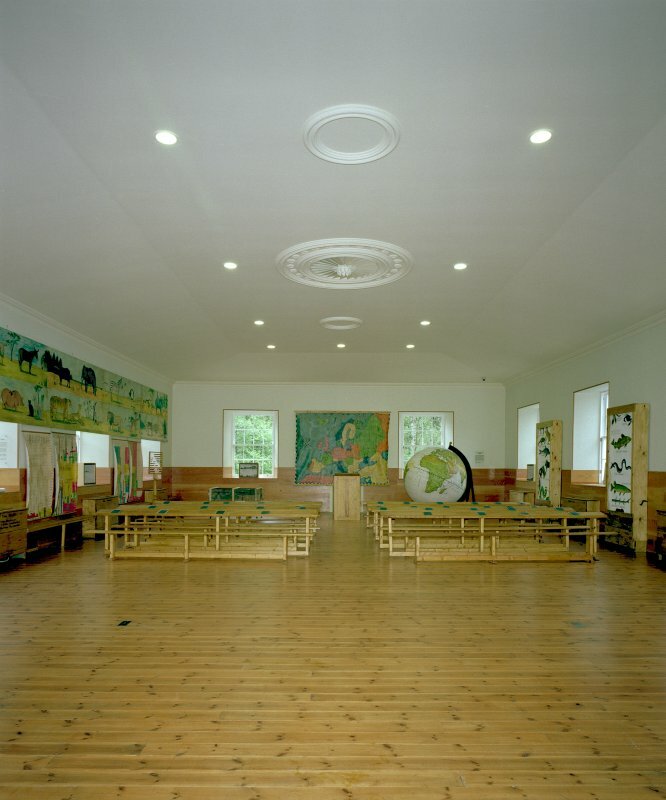 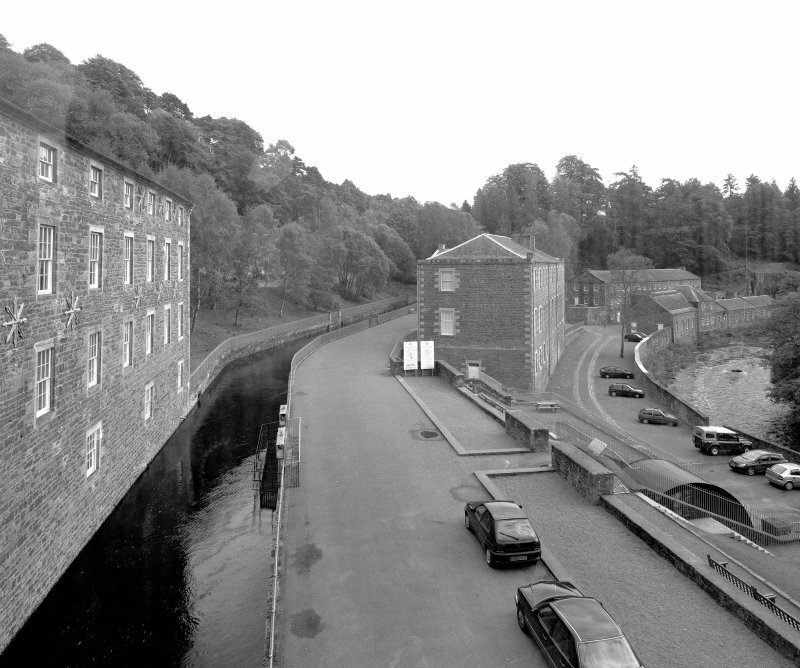 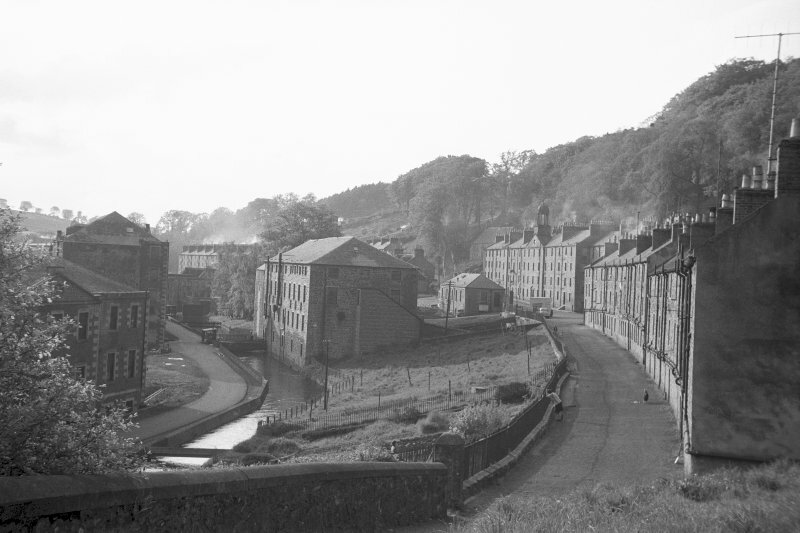 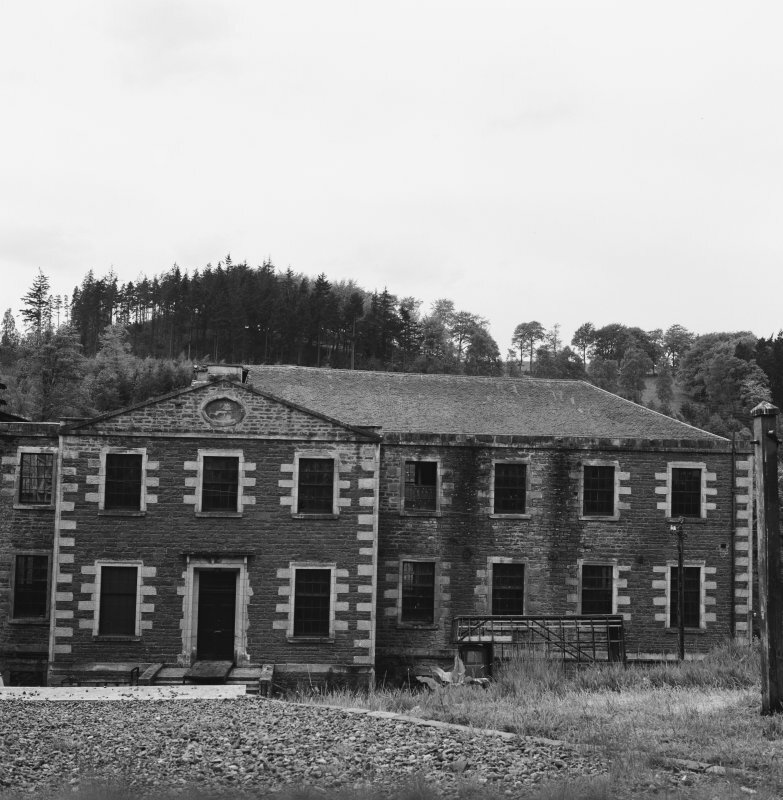 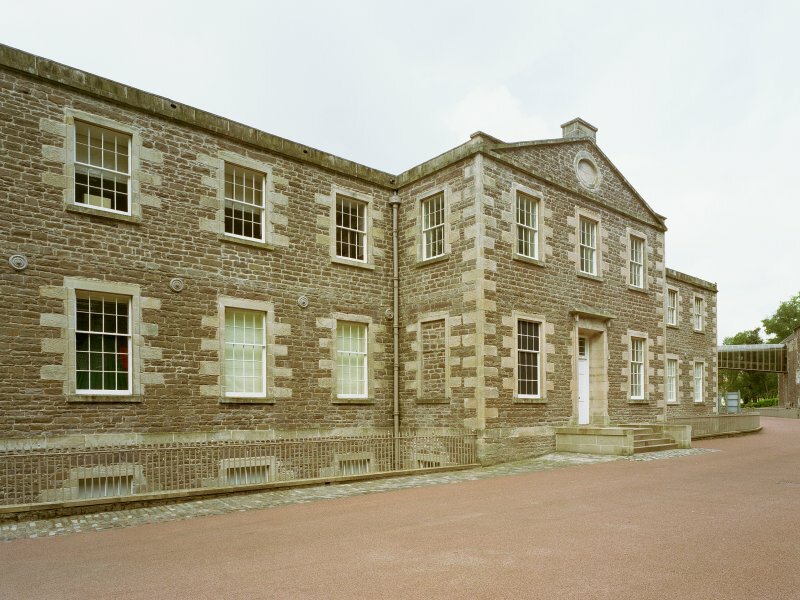 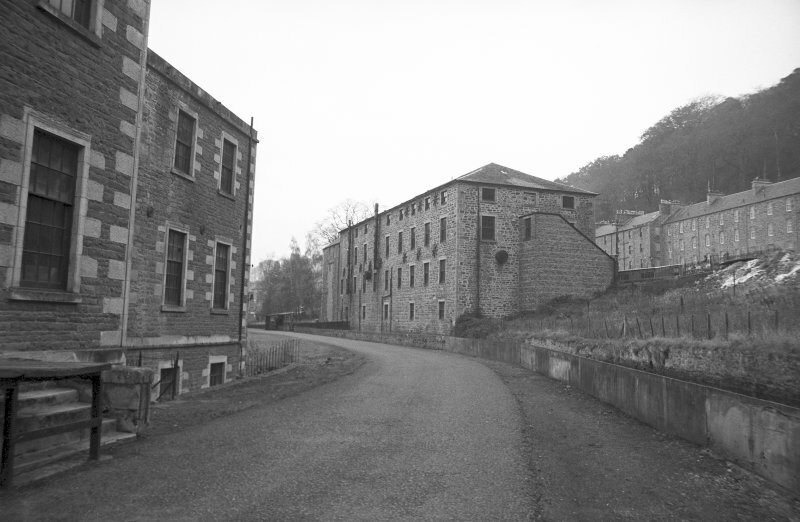 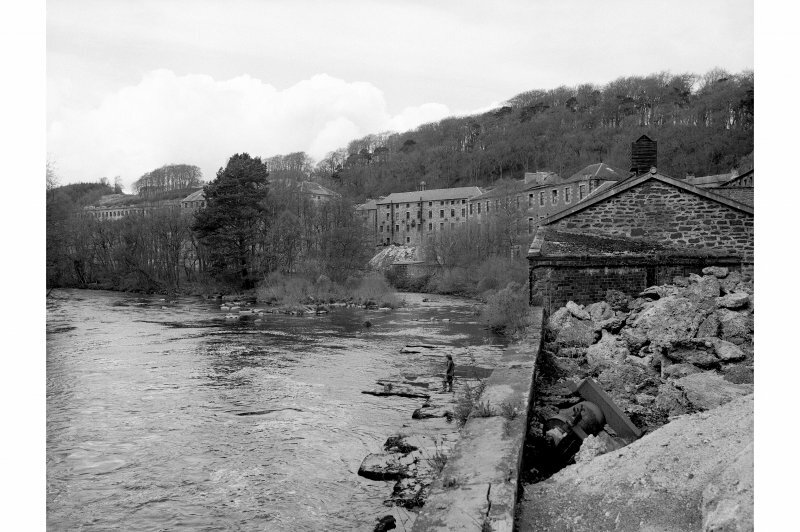 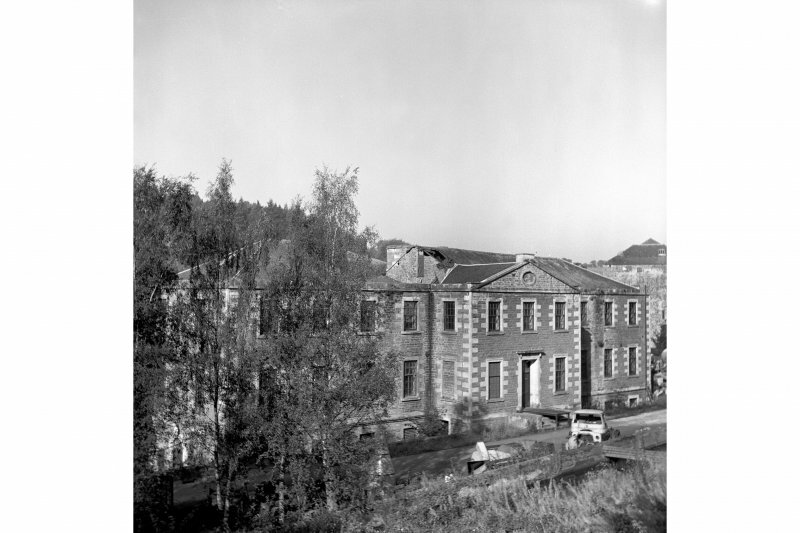 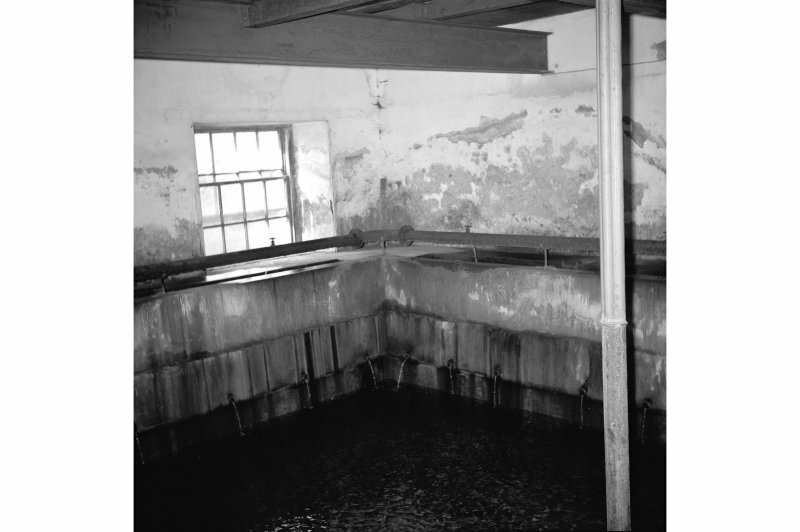 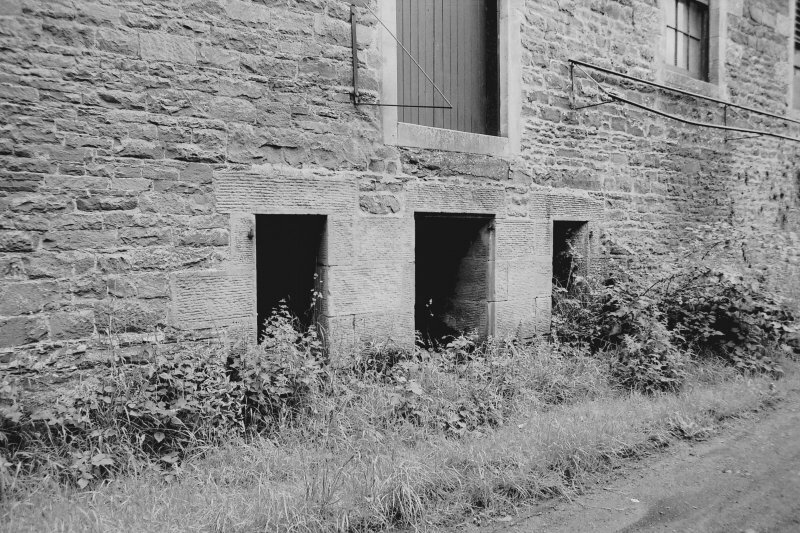 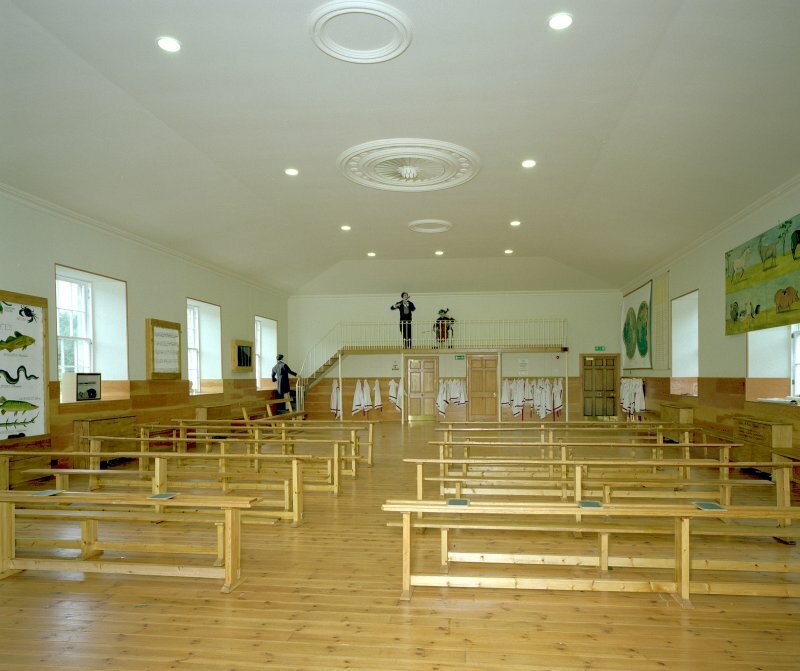 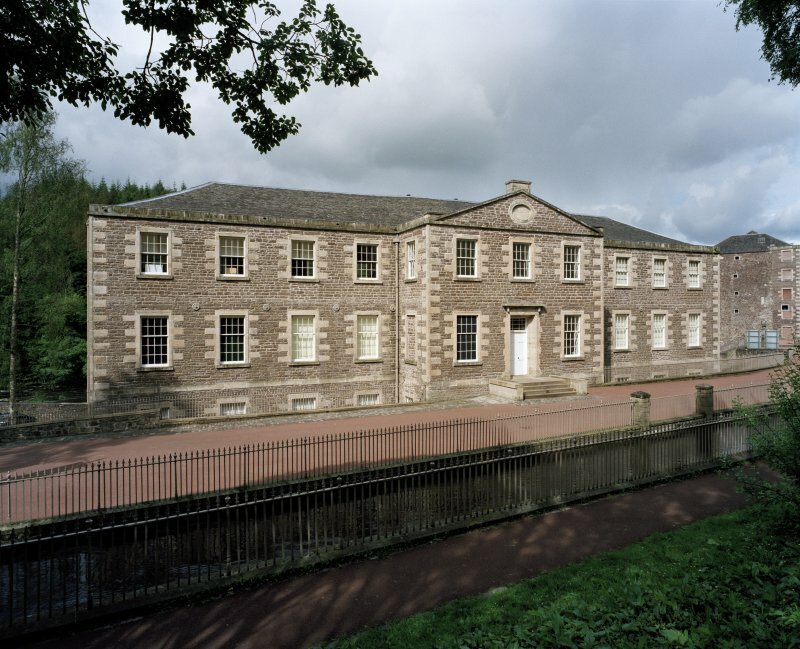 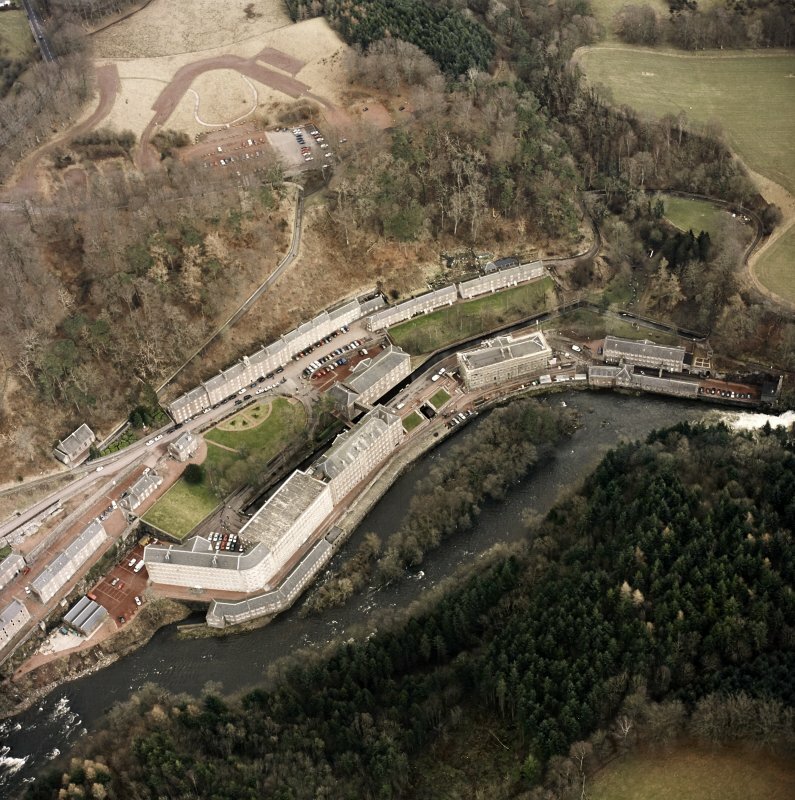 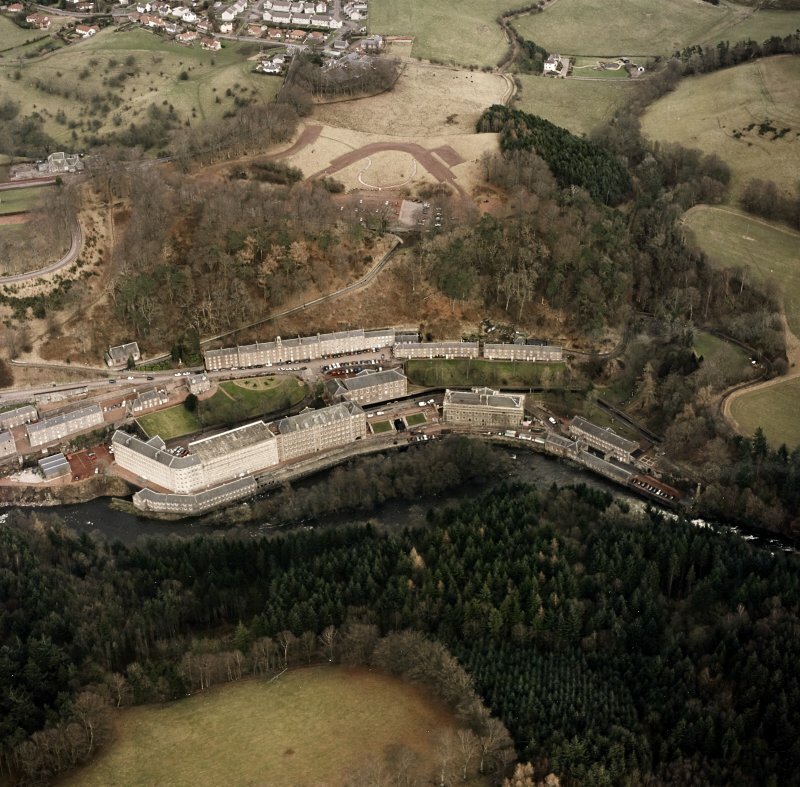 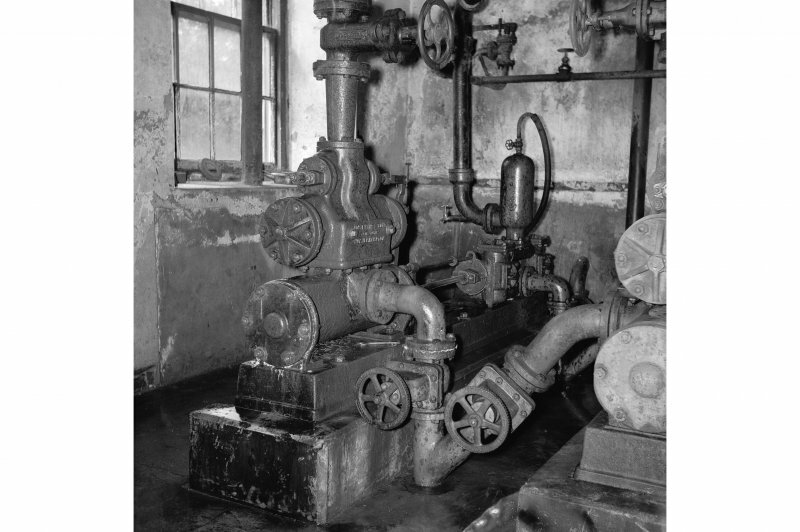 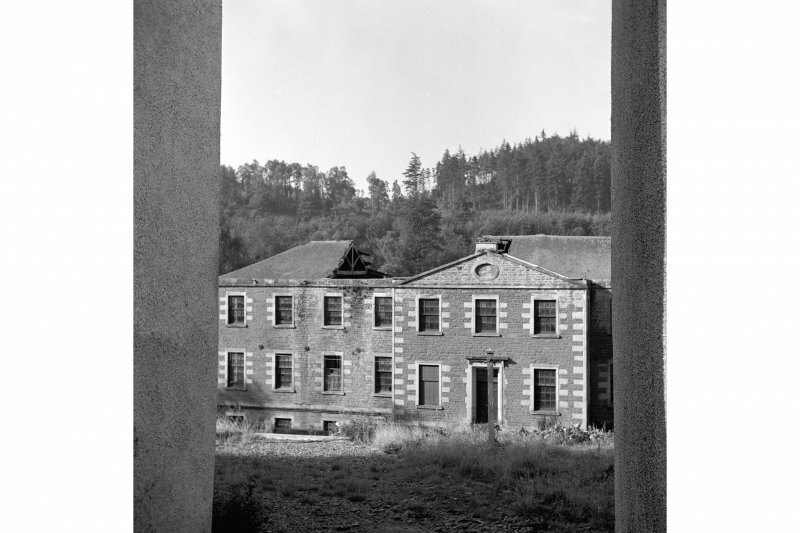 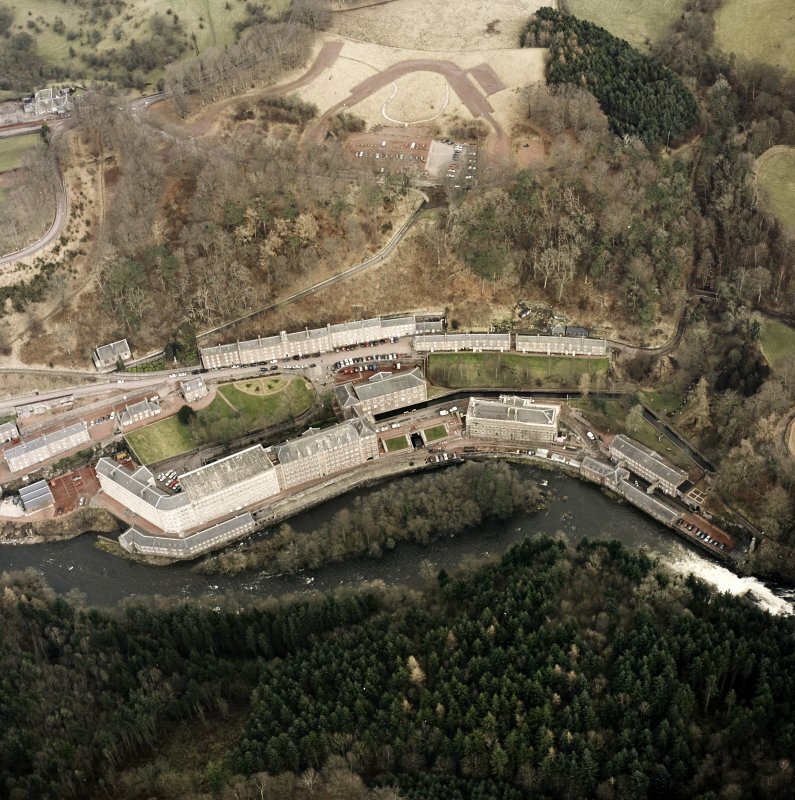 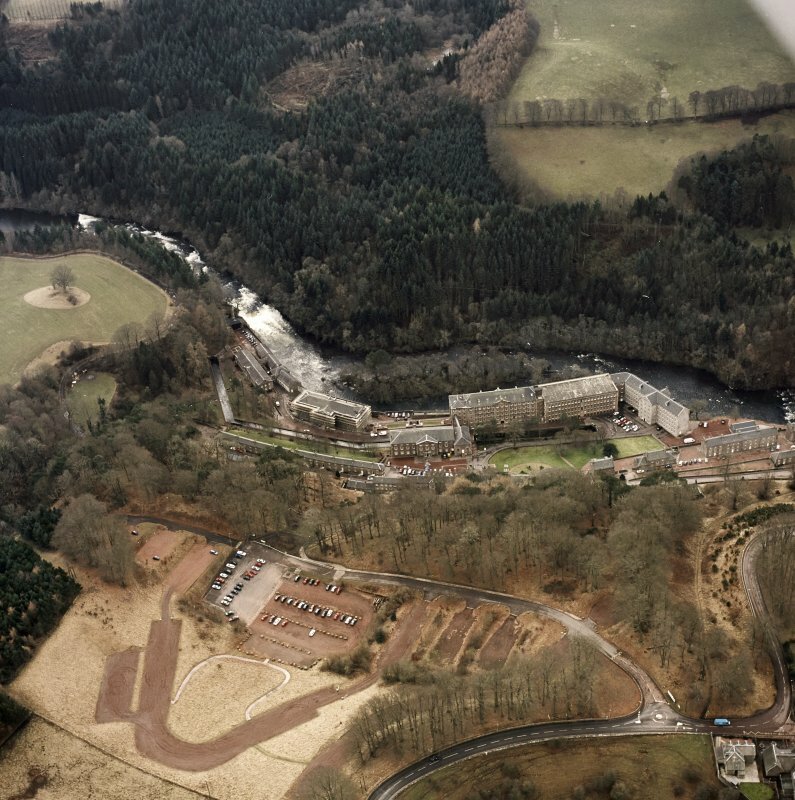 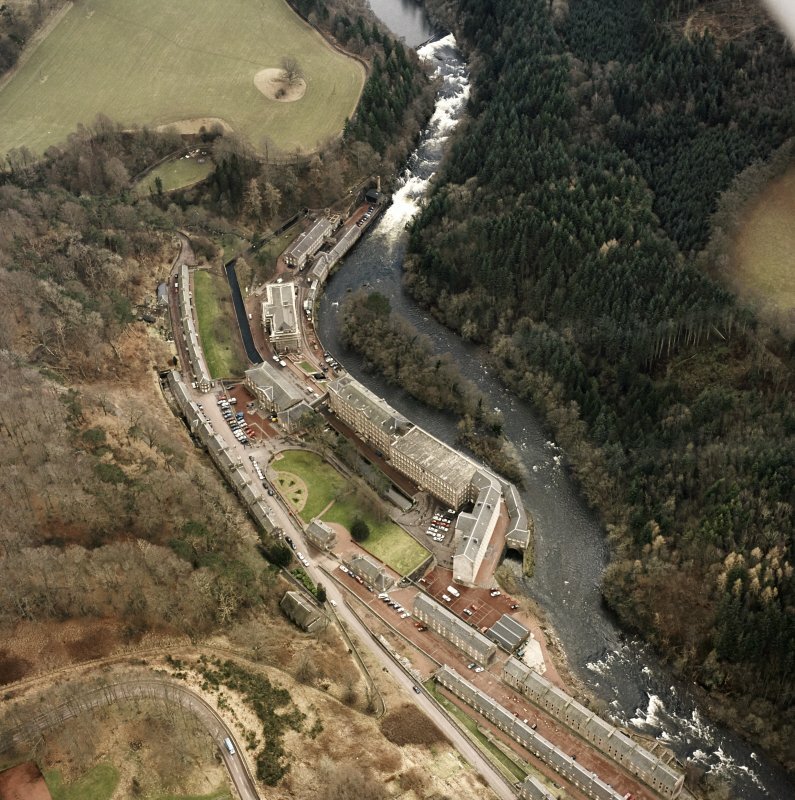 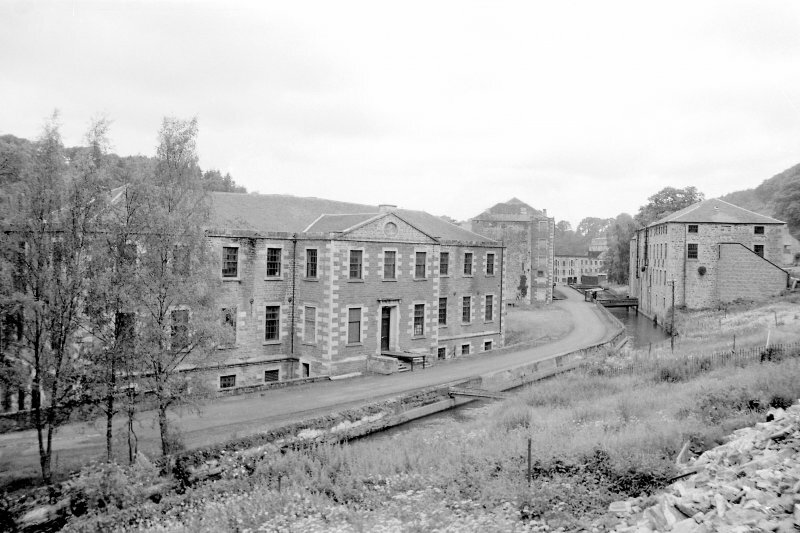 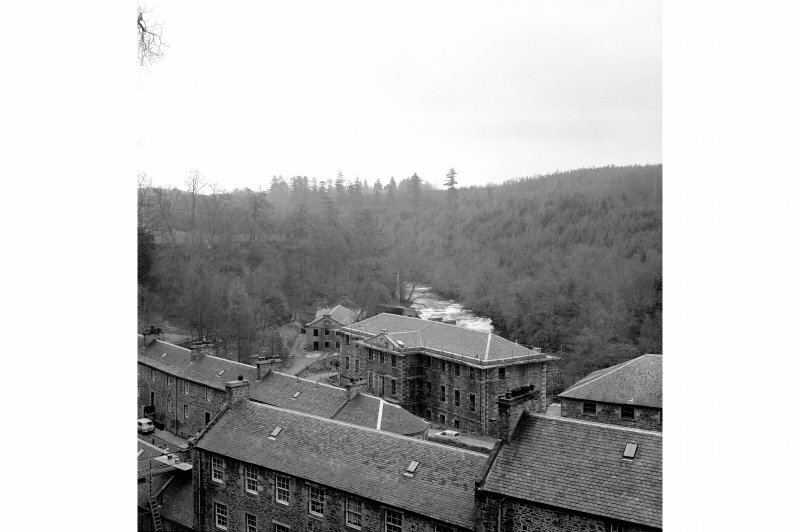 New Lanark, School. 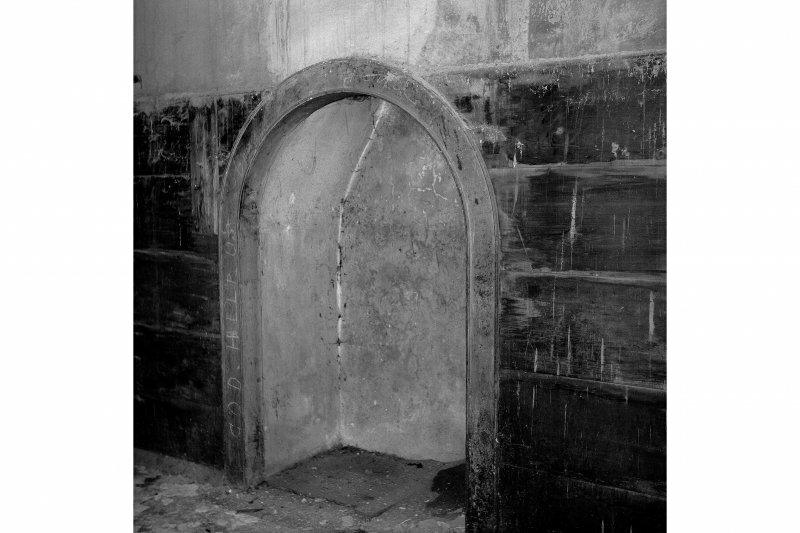 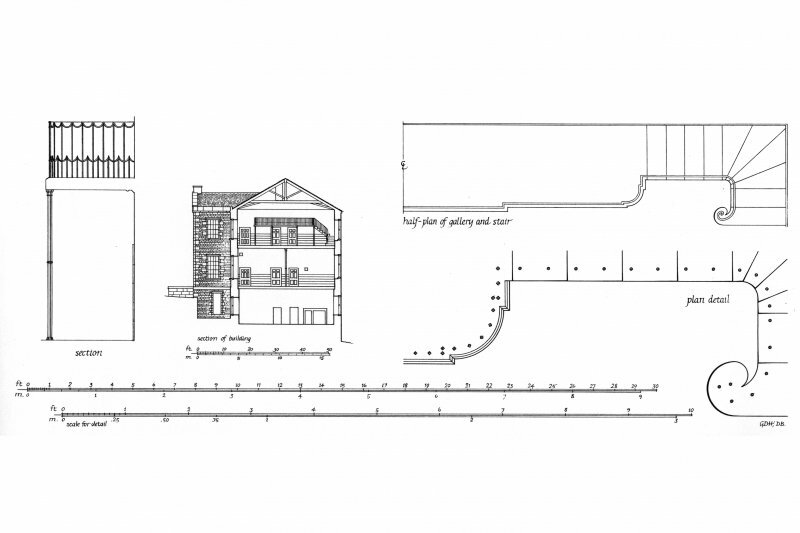 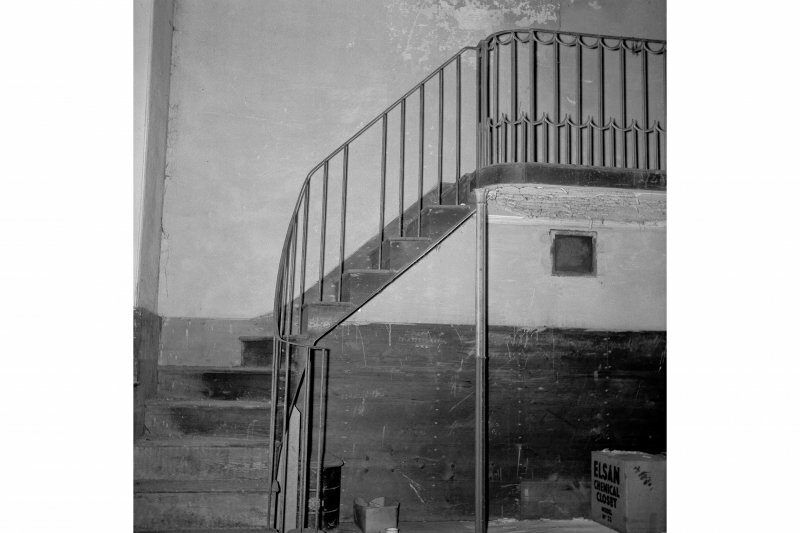 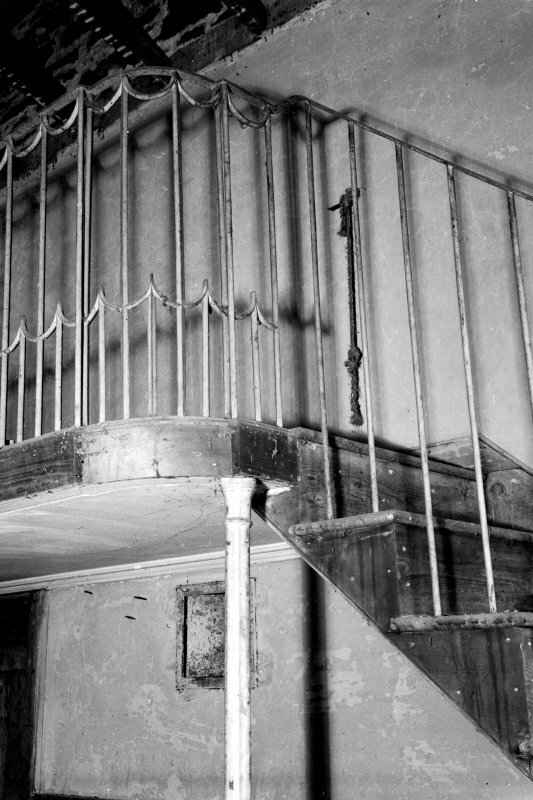 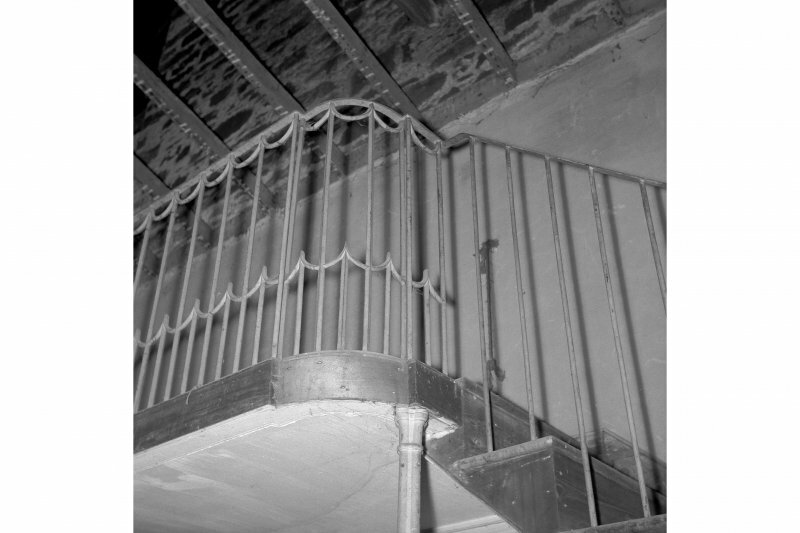 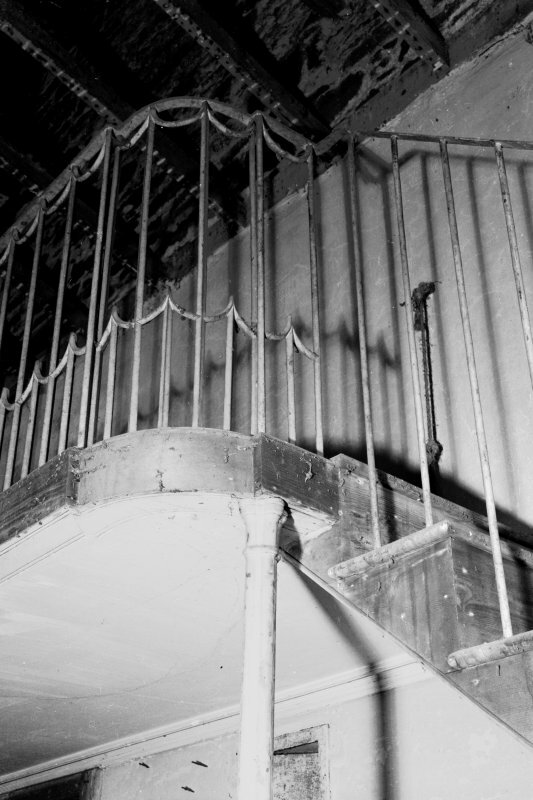 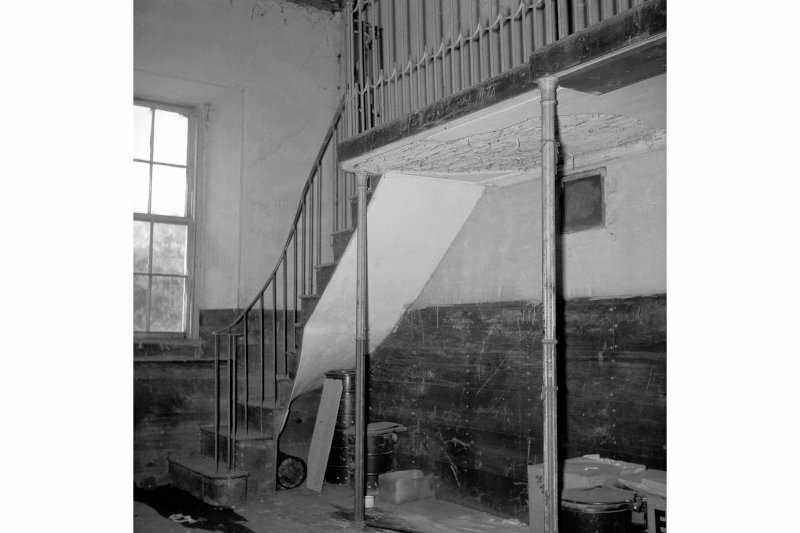 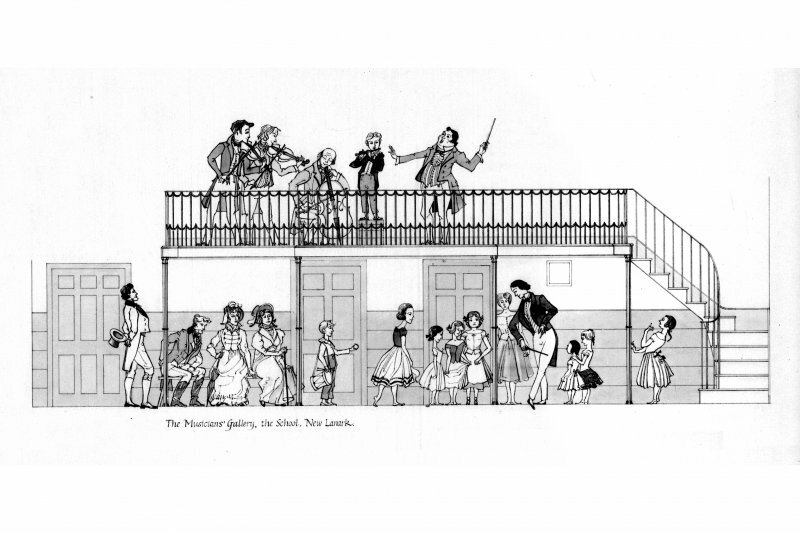 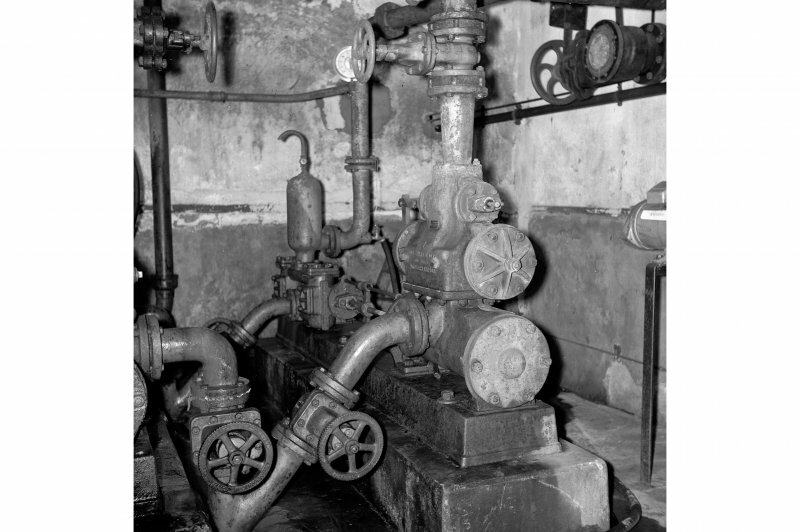 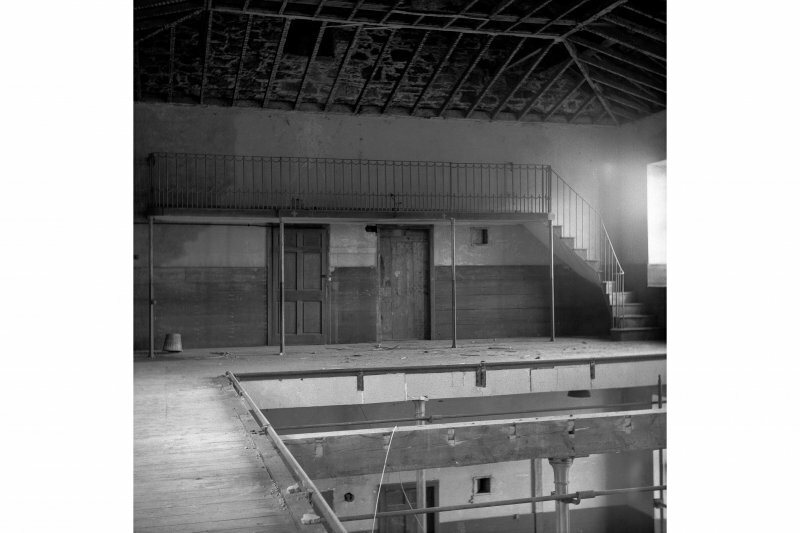 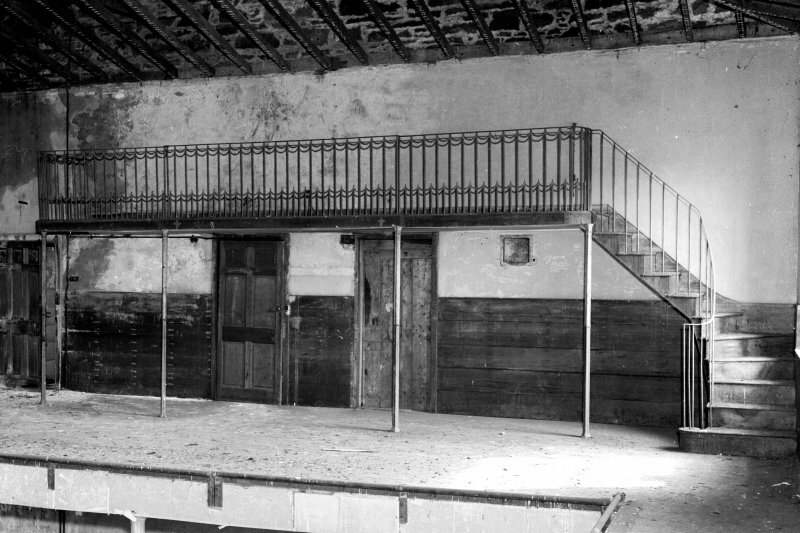 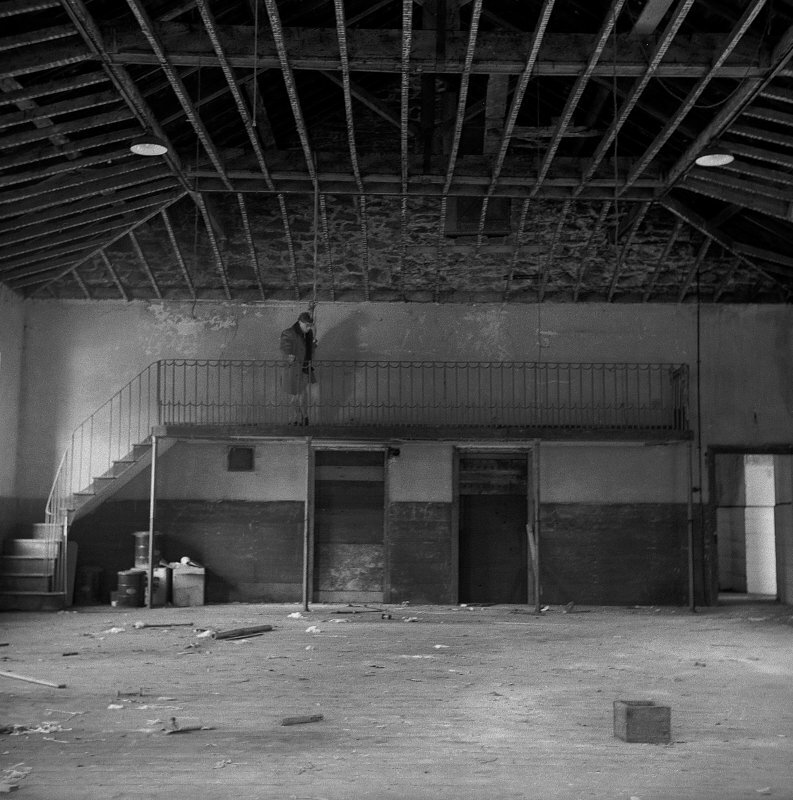 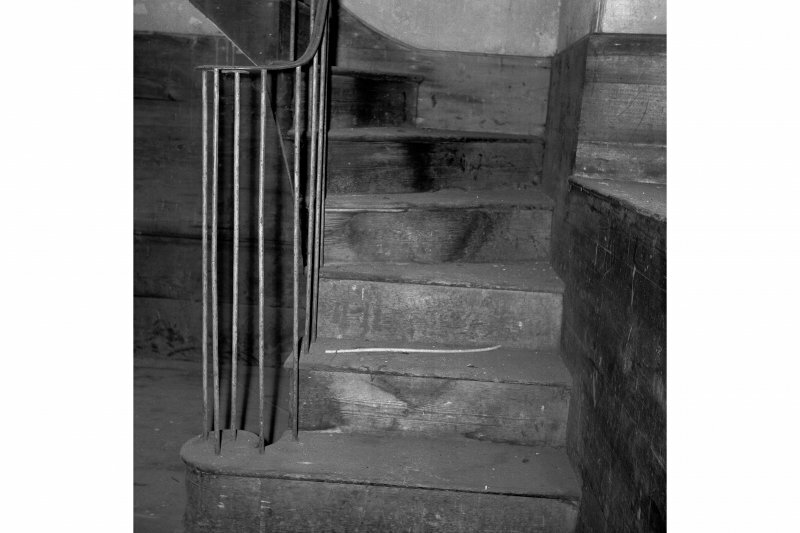 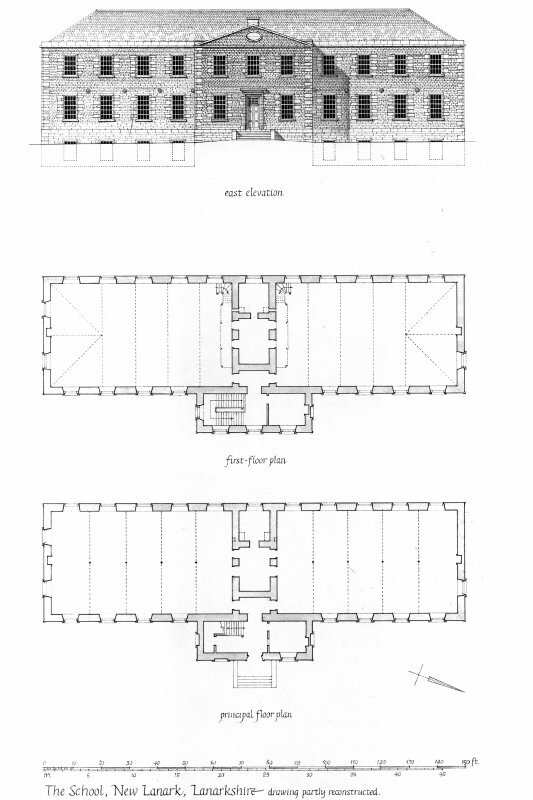 Photographic copy of Half Plan of Gallery and Stair with period characters. 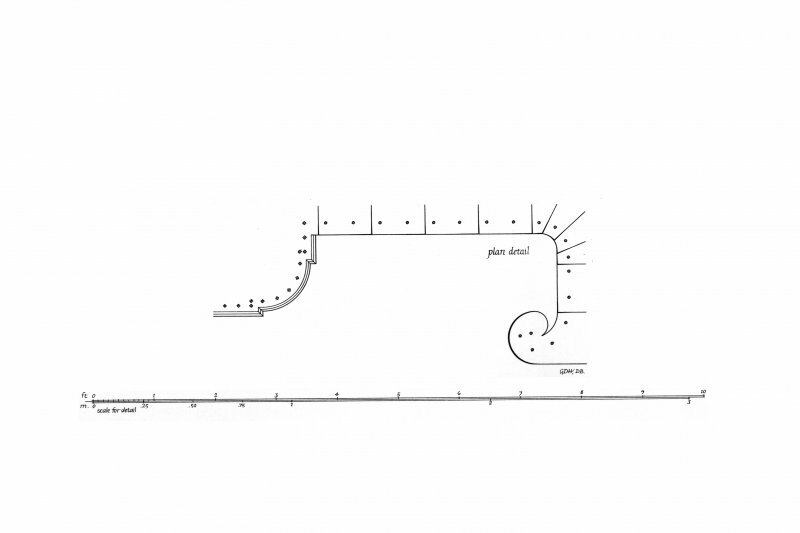 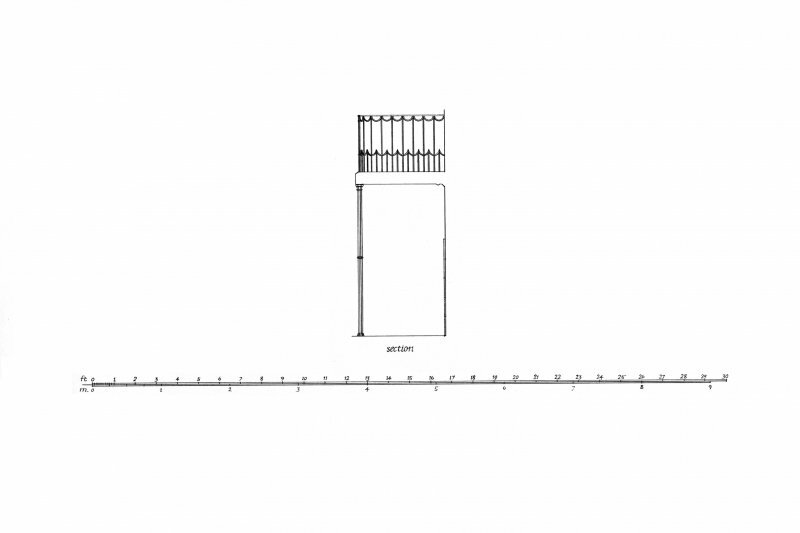 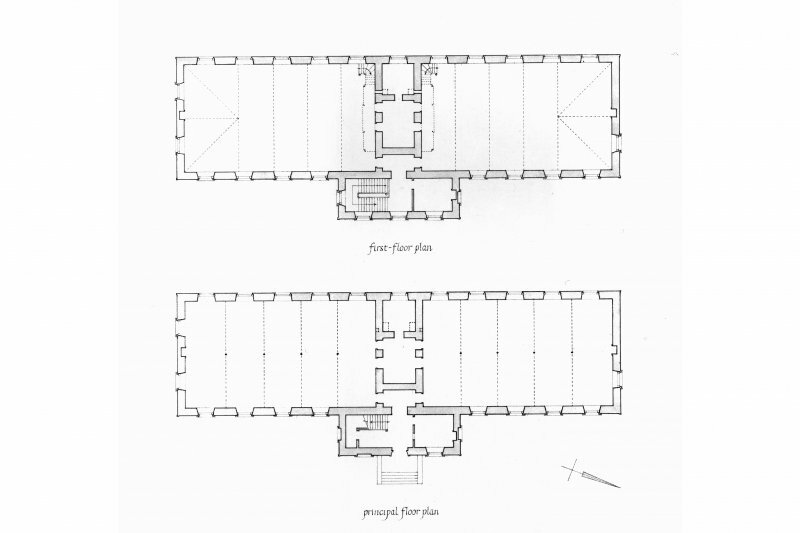 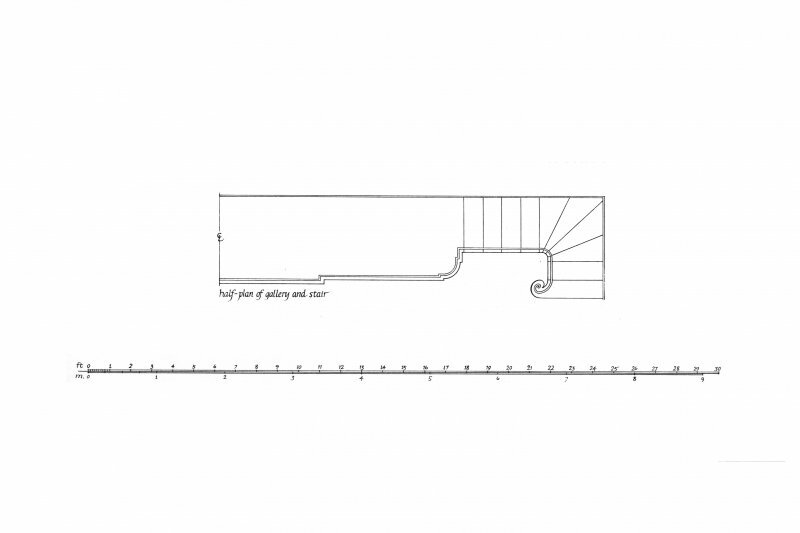 Plan detail and Section. 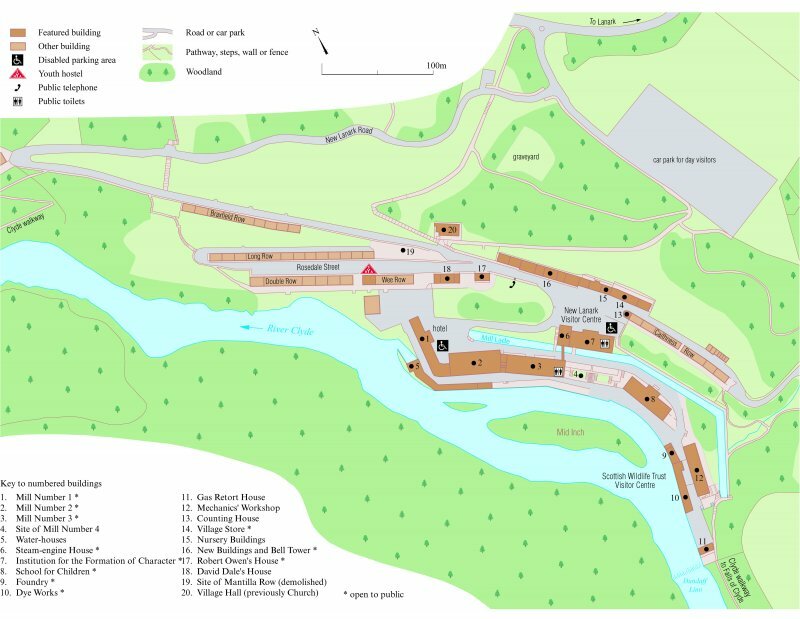 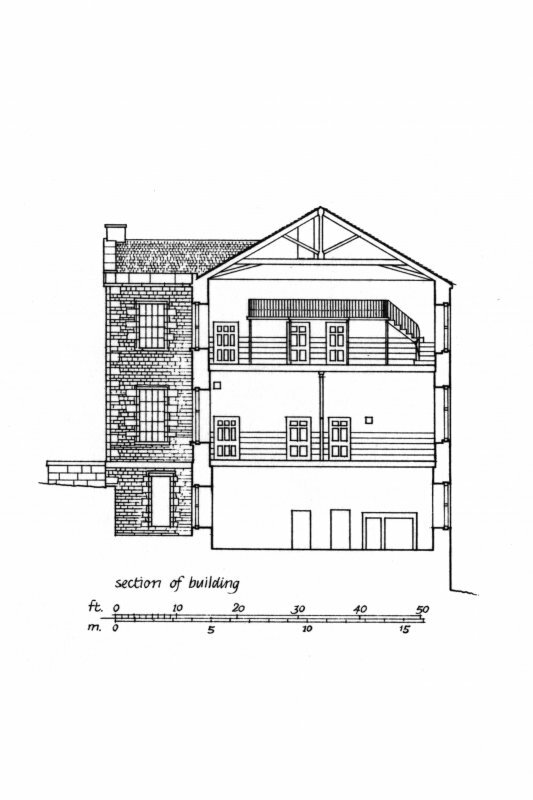 Titled: 'The Musician's Gallery, the School, New Lanark' 'Half-plan of gallery and stair' 'section' 'plan detail' 'section of building'. 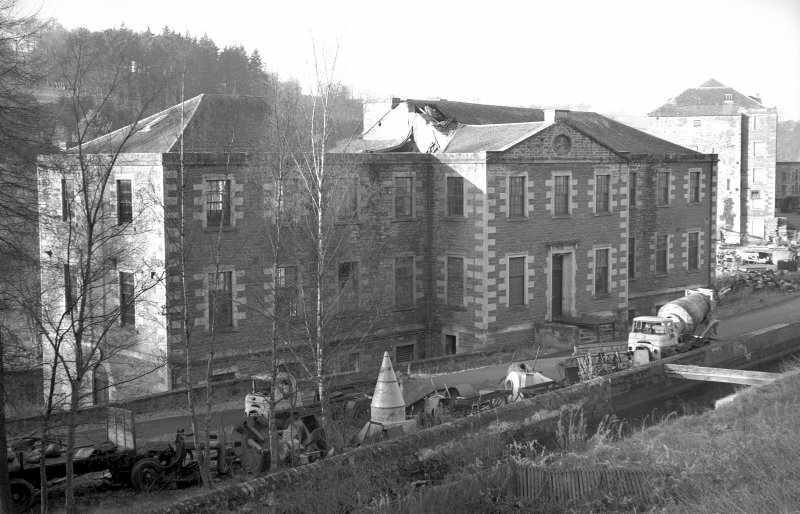 Exterior view of East elevation showing collapsed roof.